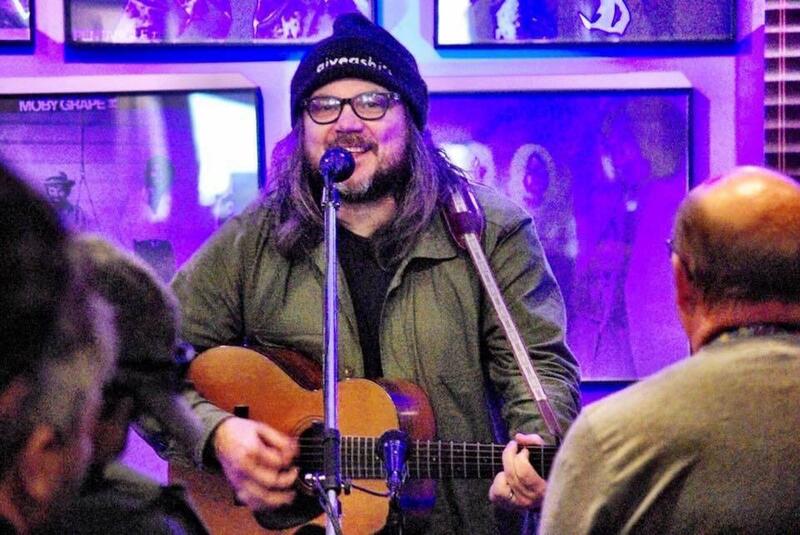 Jeff Tweedy performed at Euclid Records on Nov. 17, 2018. Belleville native Jeff Tweedy doesn’t wax nostalgic when it comes to reflecting on his hometown. The Wilco frontman and Uncle Tupelo co-founder wrote a memoir, “Let’s Go (So We Can Get Back),” that details his childhood, musical influences and the stories behind forming the alt-country Uncle Tupelo and Wilco. “Belleville was having a tough time when I was growing up,” Tweedy told St. Louis Public Radio morning host Mike Schrand in November. “The downtown area in Belleville had been pretty destroyed. The nearby mall and a lot of the industry there was struggling. There were a few breweries and they shut down. Stag Beer shut down [in 1988]. “Aside from a couple of record stores that were oases, it wasn’t a particularly happy area,” he said. During that time, though, Tweedy met Jay Farrar in high school and along with Mike Heidorn, they founded Uncle Tupelo. The band performed regularly in and around St. Louis and toured the U.S. as well as Europe. Although the group engendered a loyal following, internal problems led to the band’s dissolution, which Tweedy writes about in his memoir. Tweedy went on to found Wilco while Farrar founded Son Volt. Each band has made its mark. Schrand also spoke with Tweedy about the melding of folk and country, the role of Jay Bennett in Wilco and their past drug use.